Queen of the Clan: Which Disney Princess Are You? Not too bad. I was surprised at how accurate that statement is. 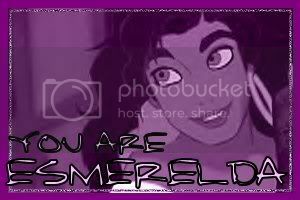 Although, I had no clue Esmerelda was considered a princess . . . did I miss something in the movie that said that?